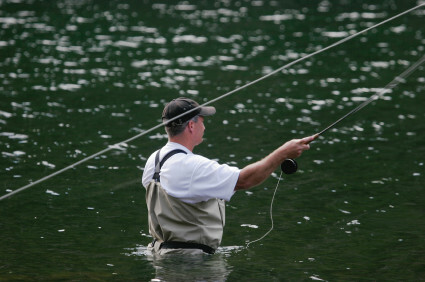 The basic features of the fly fishing reel is to hold or wind the fly line and backing. Backing is used for both filling the spool which enables to retrieve the fly line faster and the main purpose is to provide a back up for the fly line in case the fish takes off. What are the important differences between types of reels? The body of the reels can either be assembled from pieces or milled from a solid block of metal or pressed from metals or graphite. Reels can be coated in order to isolate the metal from salt water and protect it from corrosion. When there is a chance you will be using your reel in salt water than make sure you have one that is salt water proof. Why there are price differences between one reel to another? There is a huge difference in prices between different types of reels. The price range can be between about $15 to thousands of dollars. One component that has a significant impact on the price is the drag system that is being used in the reel. Drag system is the mechanism that set how far the spool turns before the drag actually engaged and how smooth the drag is. Most common reels do not have a drag system and actually it is not needed to a fly fishing beginner. What do you need in your fly fishing reel? Arbor of the reel is the cylinder that the fly fishing line is wrapped around. When you use a large circumference arbor than the line retrieval is faster, easier control of caught fish so it is better to have the largest arbor that you can allow yourself under two constraints: your budget and the right balance with your fly fishing rod. Cost effective reel for a beginner fly fisherman can be found in a budget of $50.